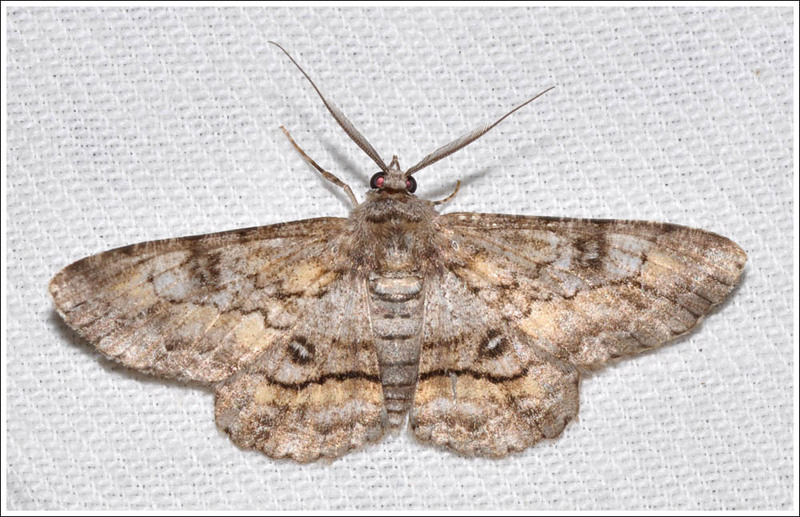 A late summer outing found the bush very dry with the smaller shrubs struggling to survive. 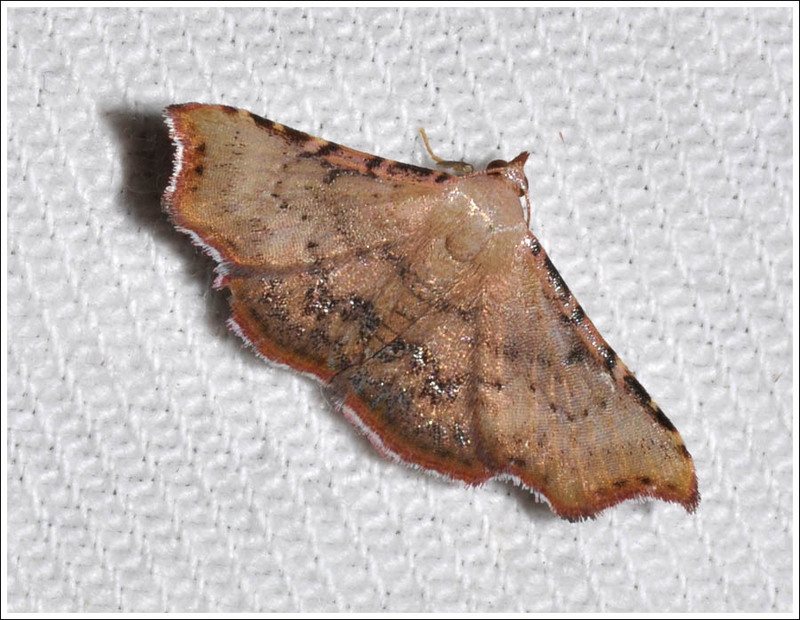 With the rig set up prior to darkness, the first job was to look through the foliage of the big Exocarpos cupressiformis, or wild cherry in the hope of finding something interesting. 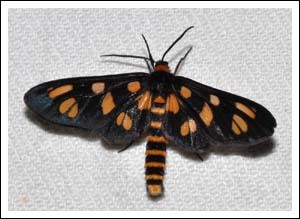 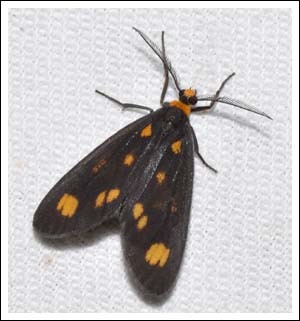 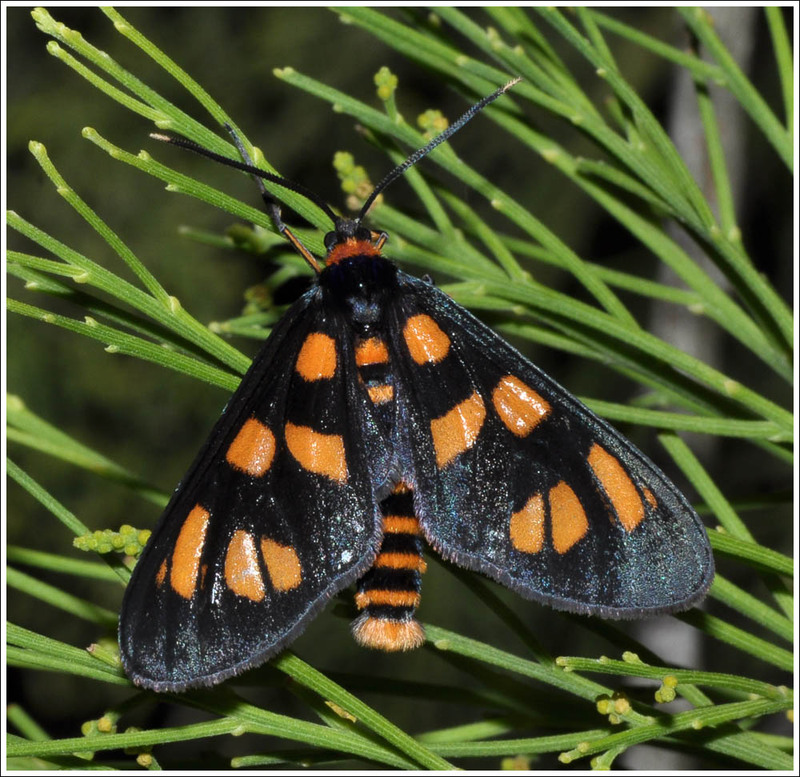 On this occasion the jackpot was struck with several males of sp(1) (MOV) in the Amata nigriceps group (Ctenuchinae) discovered perched in the foliage. Later, one came in to the light. A new record for the location was appropriately a dry country moth, the Golden Crest, Prorocopis euxantha, (Erebidae) Golden refers to the hind wings that were unfortunately not displayed. The crest which can be raised is visible lowered in the lateral view. 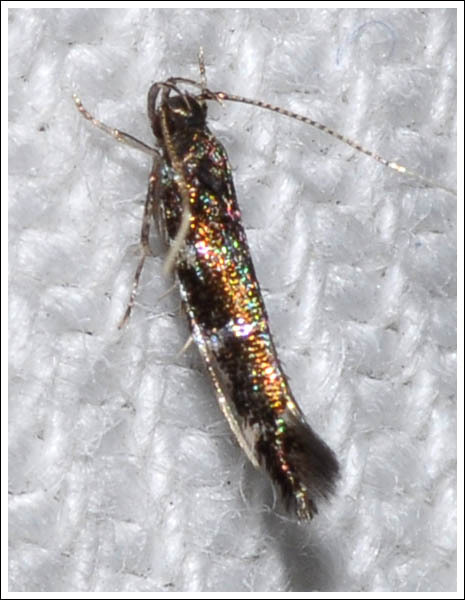 And to finish, a micro moth. 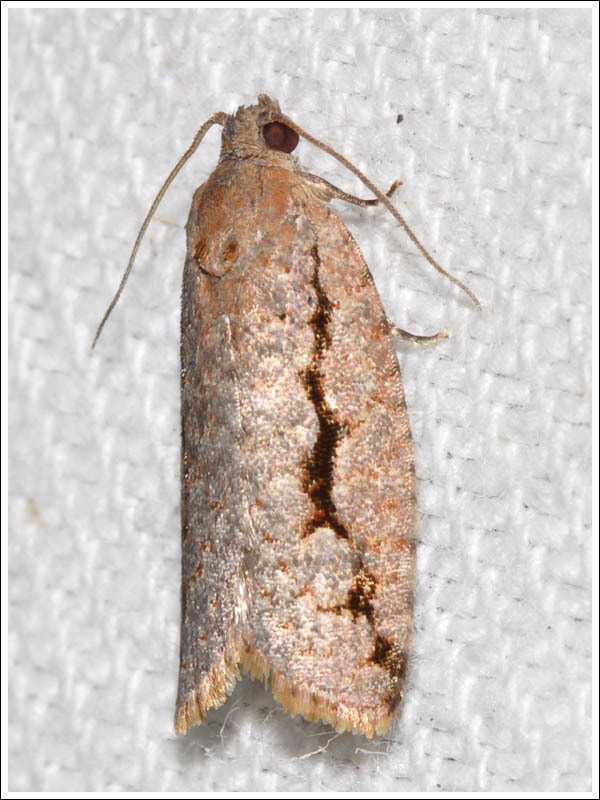 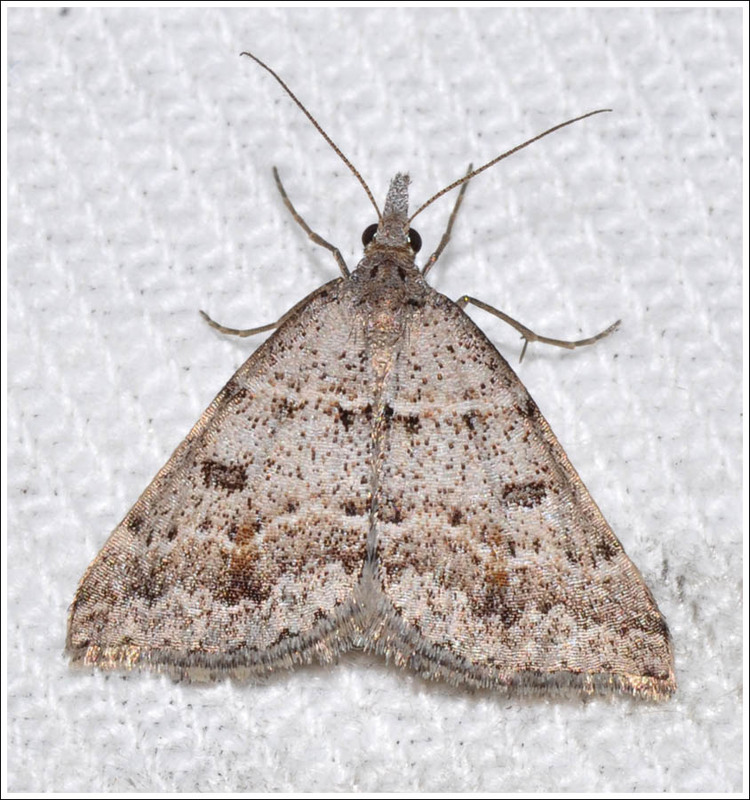 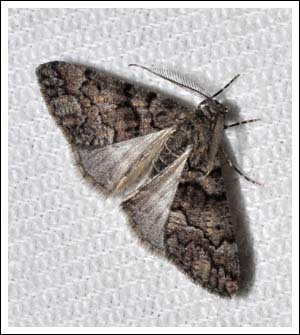 This tiny moth measured approximately three millimetres in length. 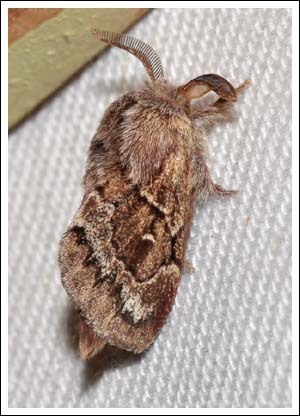 Its very small size can be gauged in the image by comparing it with the weave of the sheet. Moths of Victoria Volumes 2, 4, 7, and 8. 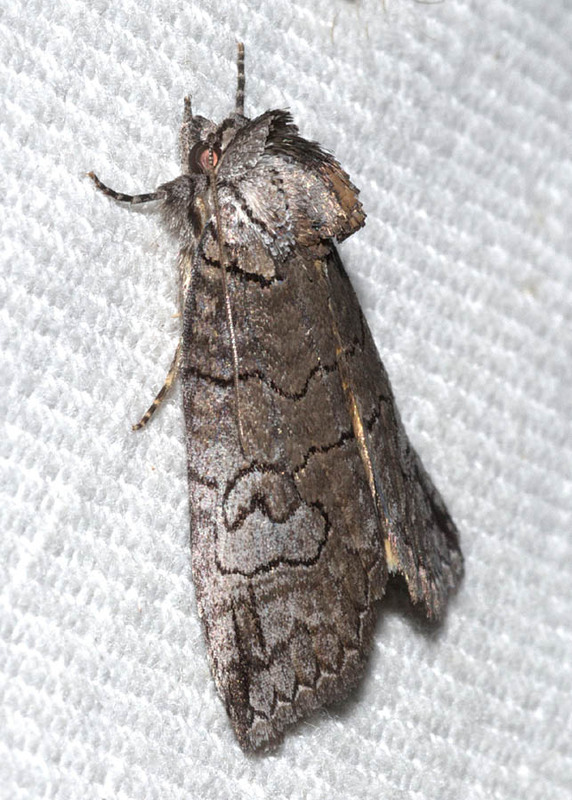 Following the discovery of the moth in the previous post, the light was rigged in the garden in the hope of attracting a male for identification purposes. That did not eventuate, however there was another surprise. 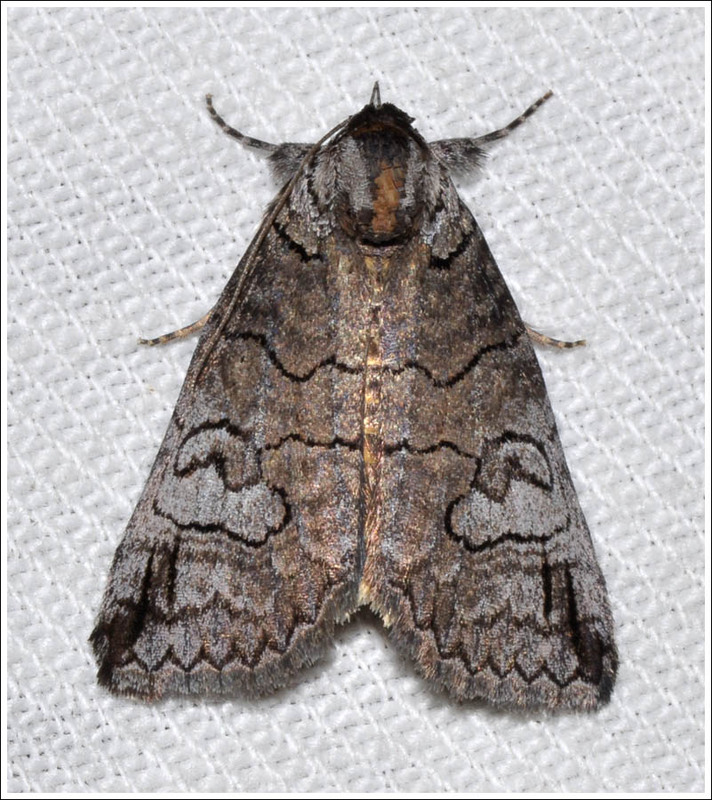 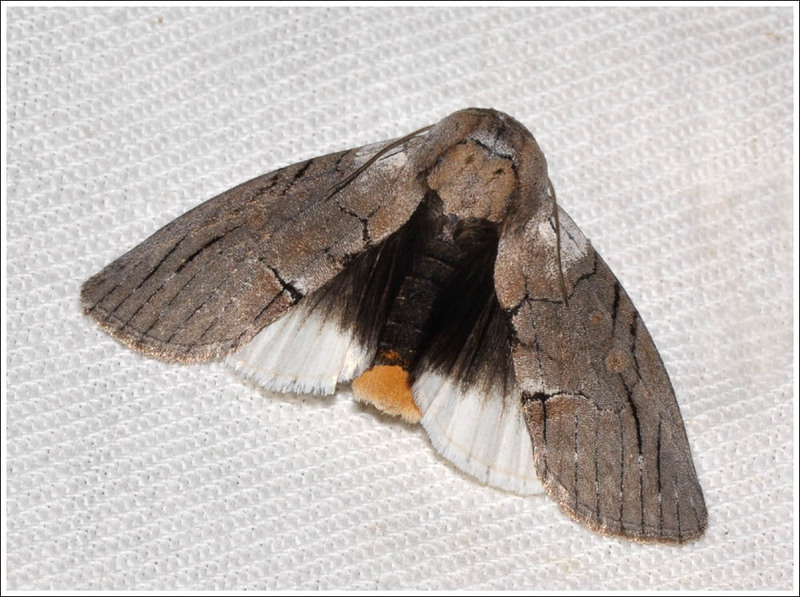 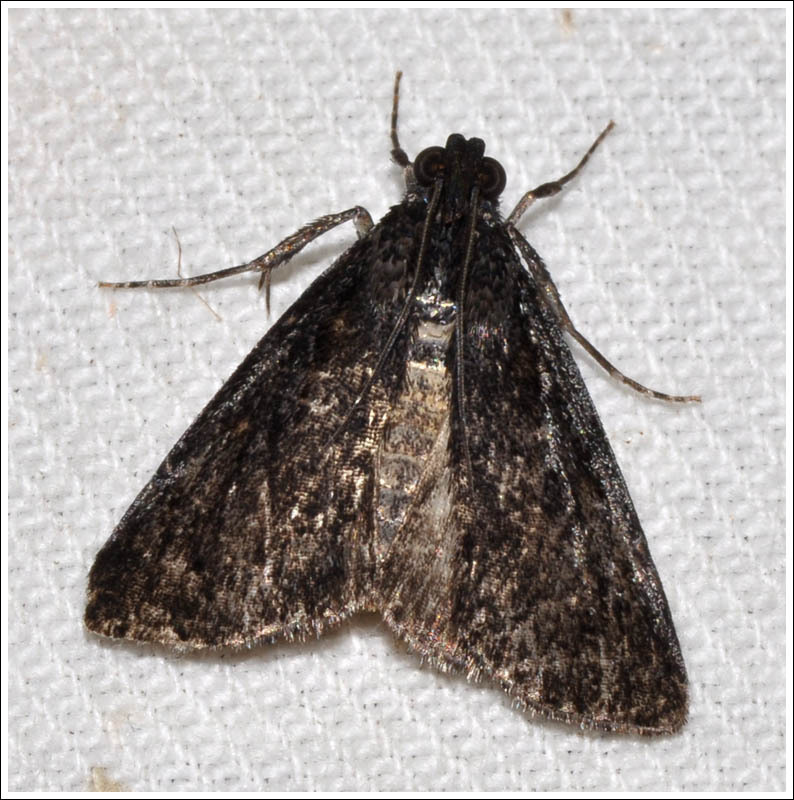 Previous mothing sessions have been held in she oak country with the objective of photographing two Lasiocampid species whose larvae feed on the foliage, Porela vitulina, and Pernattia pusilla. Those efforts also came to naught, although one spectacular Pernattia larva was found and duly recorded. 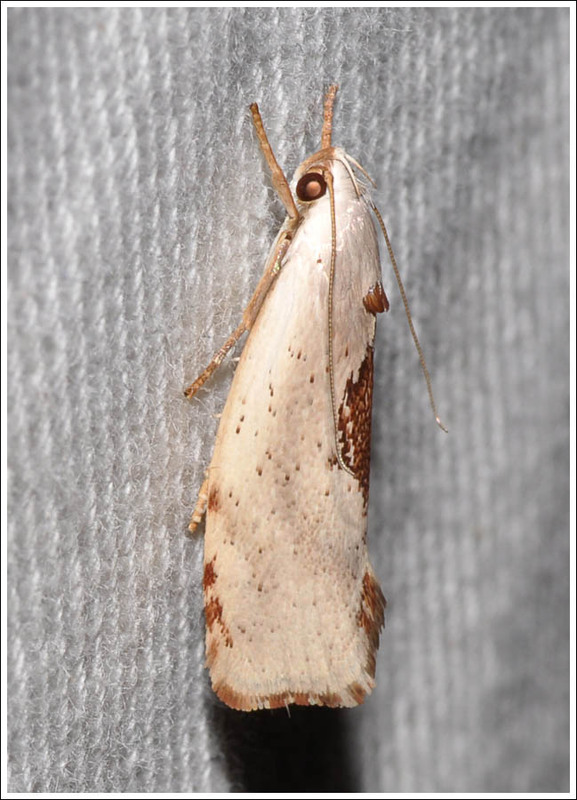 Back to the light in the garden, and the first moth in was the surprise mentioned, a very nicely marked male Pernattia pusilla. 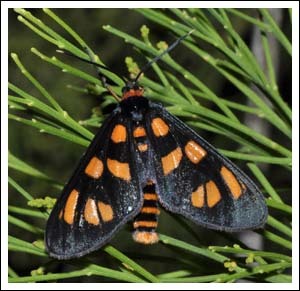 The garden has two she oaks, Allocasuarina torulosa and A. littoralis, the nearest wild population of the latter being 4.6 K away on a back country lane. It will be interesting to see if a population becomes established. 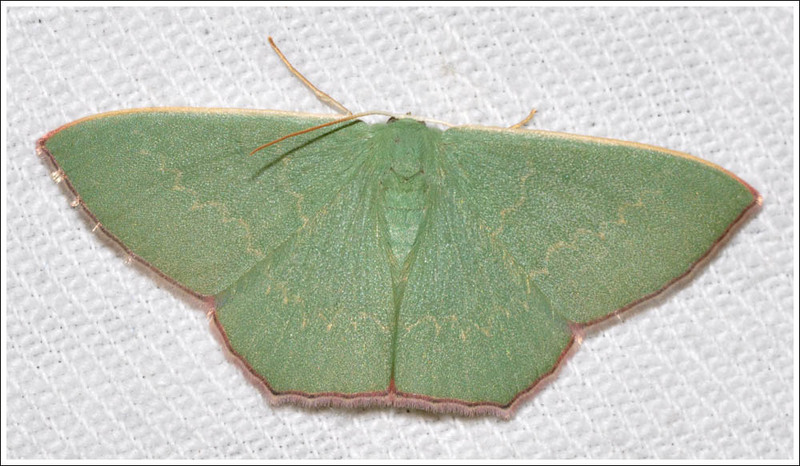 Emeralds often come to the light quite worn, not so this (Prasinocyma) semicrocea (Geometrinae) in pristine condition. 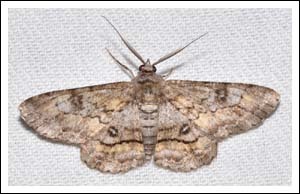 Some species of Discophlebia, (Oenosandridae) can be similar in appearance when seen with wings closed. The distinctive hind wings of D. catocalina are a distinguishing feature. 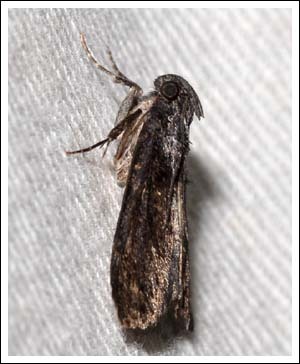 Stericta carbonalis, (Pyralidae) is plain, but of interest are the palps that curve back over the head. 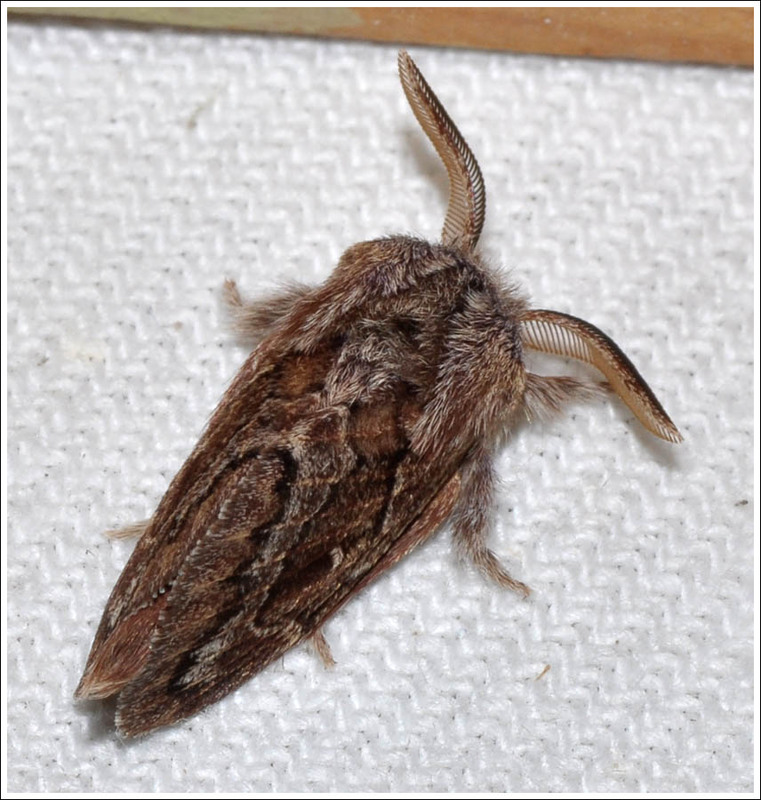 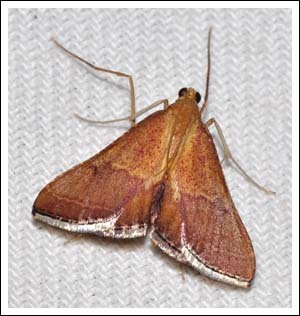 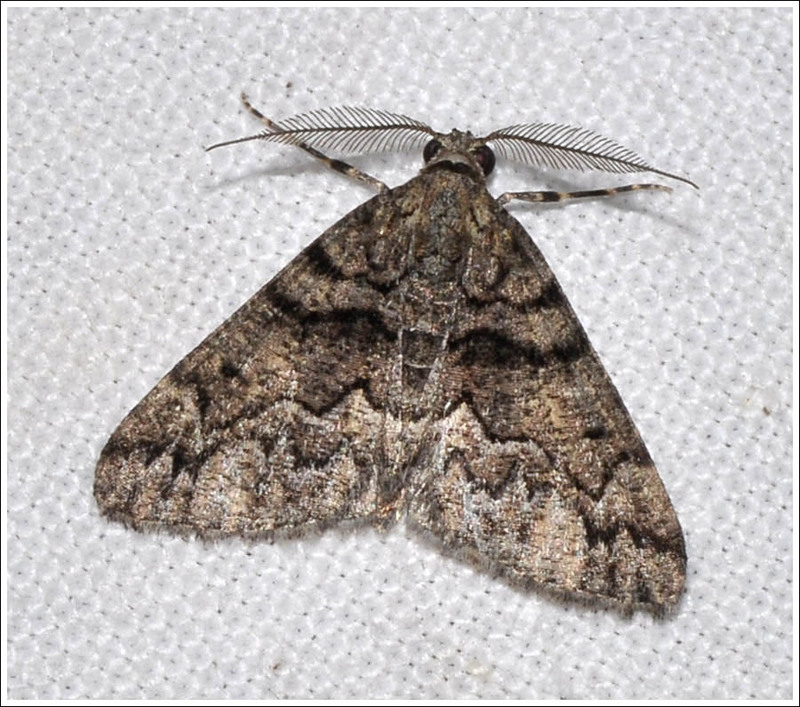 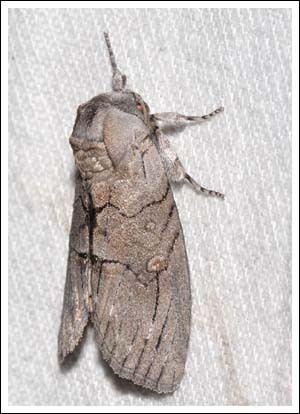 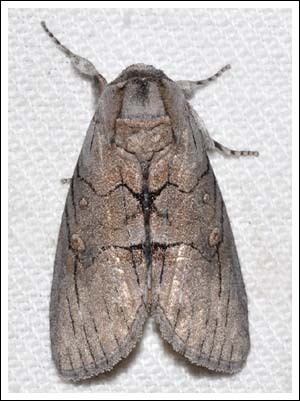 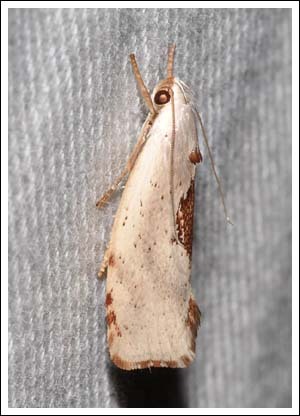 Timber moths, (Xylorictidae) are not uncommon in the garden, the small Tymbophora peltastis is the sole member of its genus. 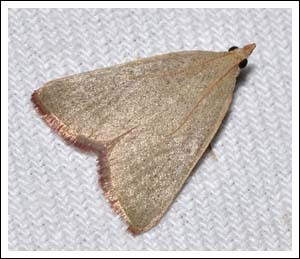 The sickle shaped up-curved palpi are typical of the family, the larvae feed on eucalypt foliage. And to conclude, an attractive small Tortricid, Meritastis species. 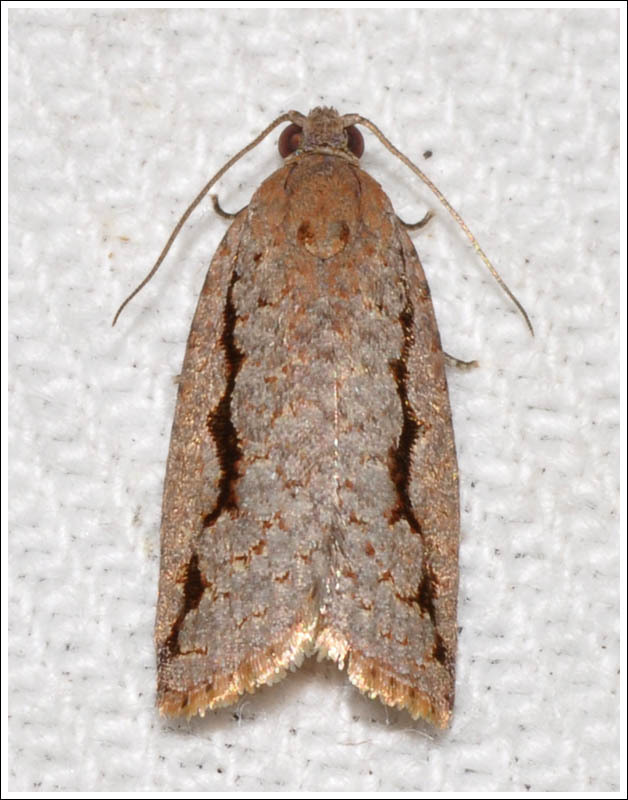 Posted on February 2, 2018 by PholodesPosted in Moths.